Does this sound familiar? It’s 2 AM and your baby still isn’t asleep. You’ve tried everything! Rocking, feeding, changing your baby's diaper, changing his clothes, and nothing is working. Are you ready for﻿﻿ ﻿your baby to go to sleep on his own? Are you ready to stop losing the ‘bedtime battle’? 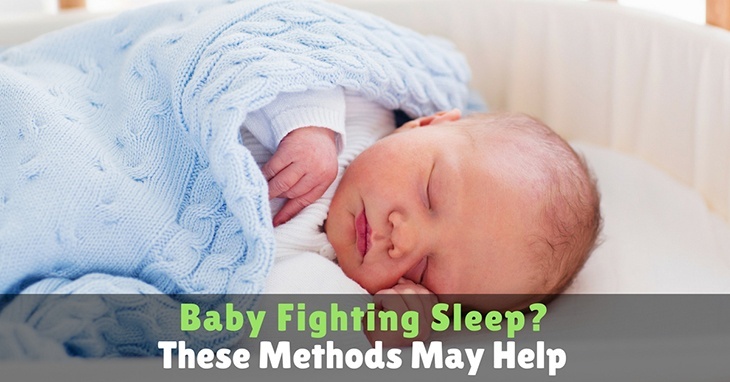 If your baby is fighting sleep here are a few tips that will help him, and you, get more rest. According to study done in the UK, babies who were exposed to sunlight between the hours of noon and 4 PM were more likely to sleep longer hours at night. 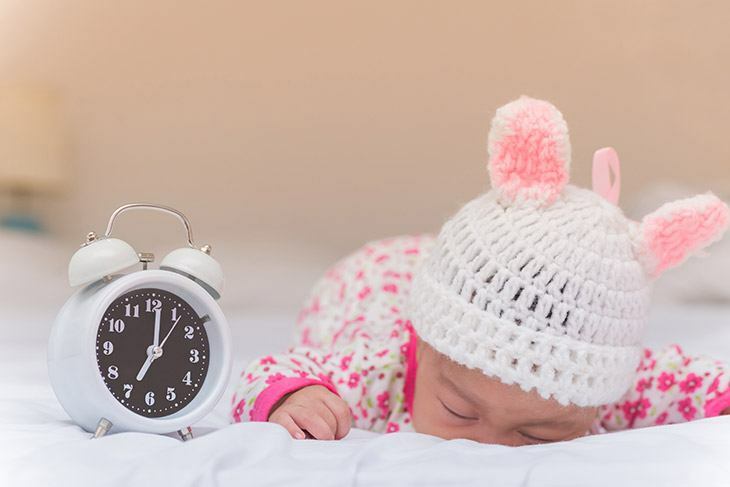 One reason for the increase in sleep is that light exposure helps develop your baby’s circadian rhythm. This is the cycle that regulates his body to know that daytime is for being awake and nighttime is for rest. Sitting outside or going on walks is a great way for you and your baby to get sunlight. If you are unable to go outside an alternative would be to sit in front of an open window while rocking or nursing. Opening windows to allow as much natural light in as possible is a great way to allow light exposure without having to leave the house. Getting on a schedule was the best thing my husband and I did for our baby (and for us). It provided a sense of comfort because we felt like we were in control of our day by teaching our Little One the habit that night time was for sleep. If your baby is rubbing his eyes or you notice them getting a little heavy, you might have missed ‘the window’. Laying your baby down when he is too tired will result in the opposite effect you think should happen. According to the Baby Sleep Site, when your baby is too tired his “stress-response system is activated”. Stress hormones, adrenaline and cortisol, are then released which make it even harder for your baby to relax. Here’s the scene: Your baby is very sleepy, wants to go to sleep, but can’t because of the stress hormones being released. So your baby fusses because he is not comfortable and becomes even more tired as the process goes on thus starting the vicious cycle again. To ensure that your baby doesn’t follow that path, try not to miss naptimes. Yes, sometimes it is unavoidable, flexibility is a good thing. But try not to make it a habit. And get on a schedule! Having a calm routine helps teach your baby to transition from playtime to sleep. Having a routine will also help your baby learn cues that ‘rest’ is about to happen. The key to a successful nighttime or naptime routine is consistency. So whichever methods work best for you and your baby go with them and stick with them. Once your Little One is calm and relaxed and ready for bed it’s time to lay him down. It is recommended to lay him down while he is still awake so that he can learn to self soothe himself to sleep. This will help him in the middle of the night so when he wakes up he will be able to go back to sleep without assistance. Your baby might have a hard time adjusting to the new schedule or he might have a tough night in general. If that happens and it mostly likely will, try letting him soothe himself. This does NOT mean let him ‘cry it out’. It means give him five minutes (or as long as you feel comfortable) to try and do it on his own. Let him learn. Going and picking him up after each cry, fuss, or grunt is only going to make your long nights even longer. If he is still crying after the allotted time you have allowed, then yes, go comfort your baby. Just because he is crying doesn’t mean he is fully awake, by entering the room and picking him up you could wake him. By softly patting or stroking his back and using a quiet tone to ‘shoosh’ or sing, you are letting him know that you are there, while also maintaining a sleep promoting environment. These are methods that helped my husband and I get to a point where we had structure and felt more in control of our day to day activities with our baby. And you know what? Our baby started sleeping! We won the battle! Leave a comment below and let us know of any questions you might have. We would also love to hear about your success in using these methods.